Well, why not indulge in it rather than fight it? That’s right! You can pick up where you left off when you were just a wee little lass. 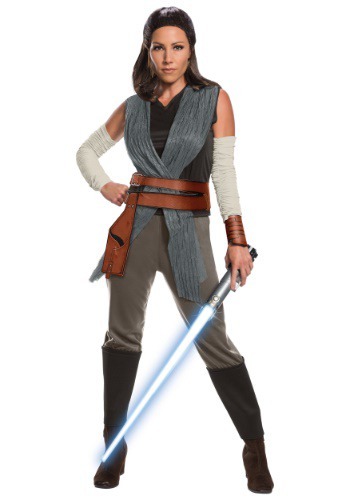 You can wear this adult deluxe Rey costume and begin your training in the ways of the Force. Now, we have no idea how to get to Ahch-To, or how to convince Luke Skywalker to train you, but those are just minor details that you can hash out after you put this costume on! It’s based on the outfit worn by Daisy Ridley in The Last Jedi and it comes with a top with attached wraps. It also comes with a pair of pants, arm wraps and even a belt with a decorative holster on the side. Just make sure you upgrade from your flashlight by getting one of our toy lightsaber accessories to complete your look.